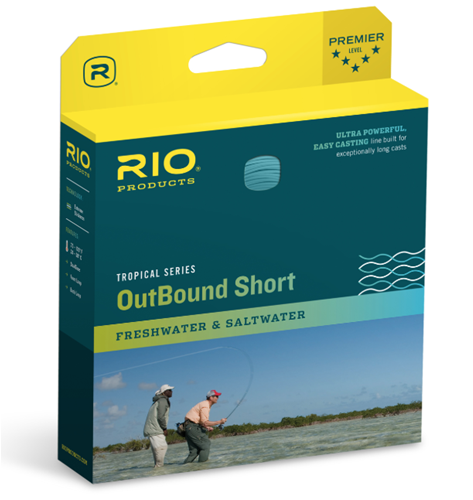 The ideal tropical line for wading the surf or throwing huge flies, featuring a short heavy head. Perfect for Baja and the Amazon and for such species as Peacock Bass, Dorado, Trevally and Rooster fish. The line is built with a hard saltwater coating that ensures the line will not wilt in tropical heat. Welded loop on both ends for easy rigging. Available as a full floating line, a floating line with a clear 10 ft intermediate tip, or a floating running line with a 30' intermediate sinking head (first 15' is clear). DualTone ensures the angler can easily find the perfect loading point.